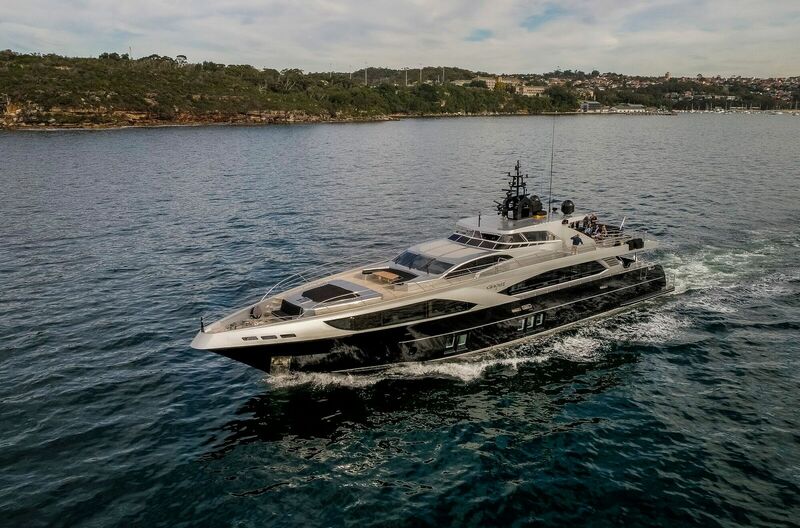 Ghost 2 is a sleek and striking super yacht spanning at 122′ of pure luxury. 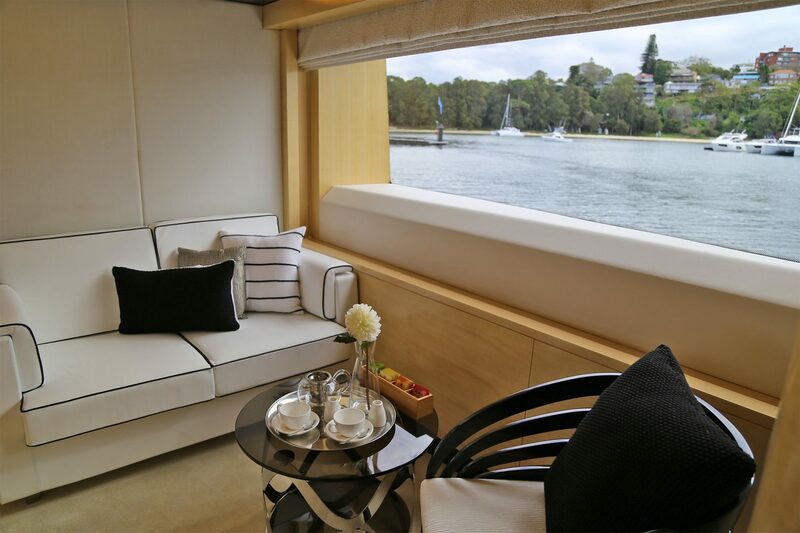 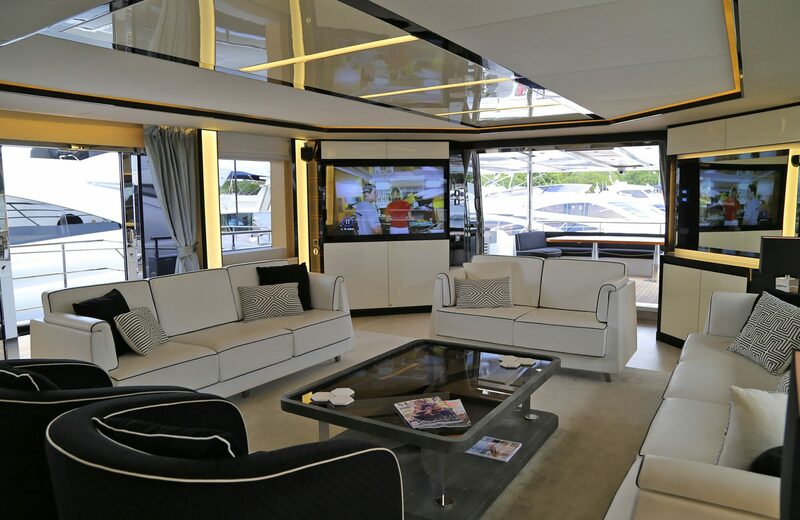 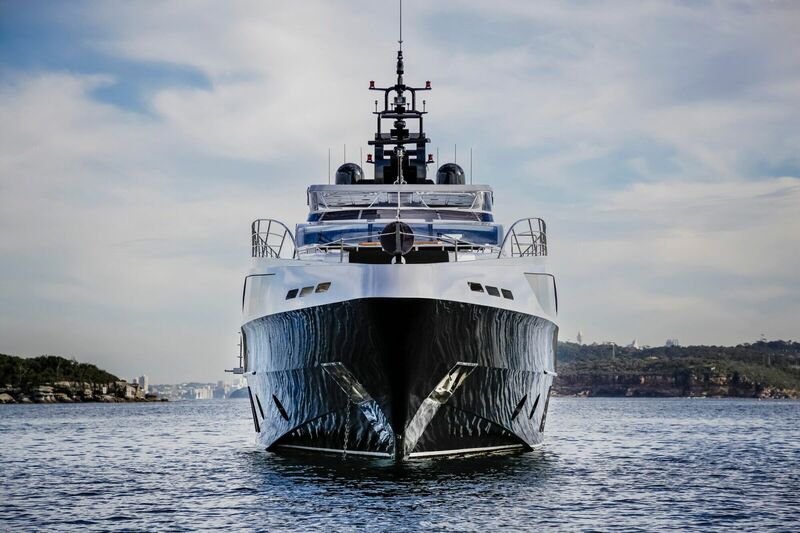 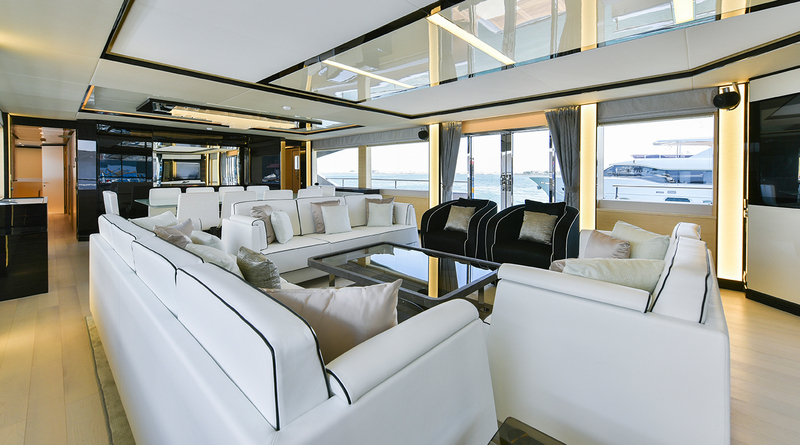 Her layout is perfect for any occasion on sydney harbour as she has a number of spacious lounging areas, including two decks, an extended balcony, spacious fly-bridge and a fully equipped galley. 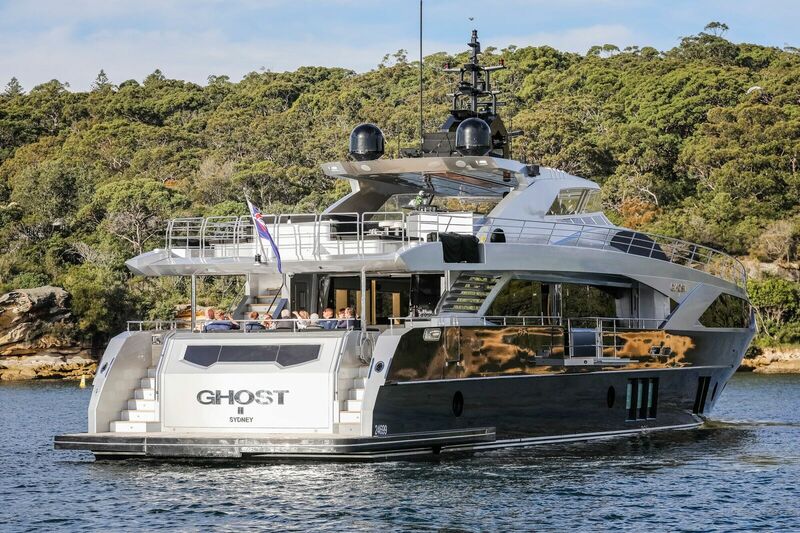 Ghost 2 also features a garage which is used as house to tender and for jet skis. 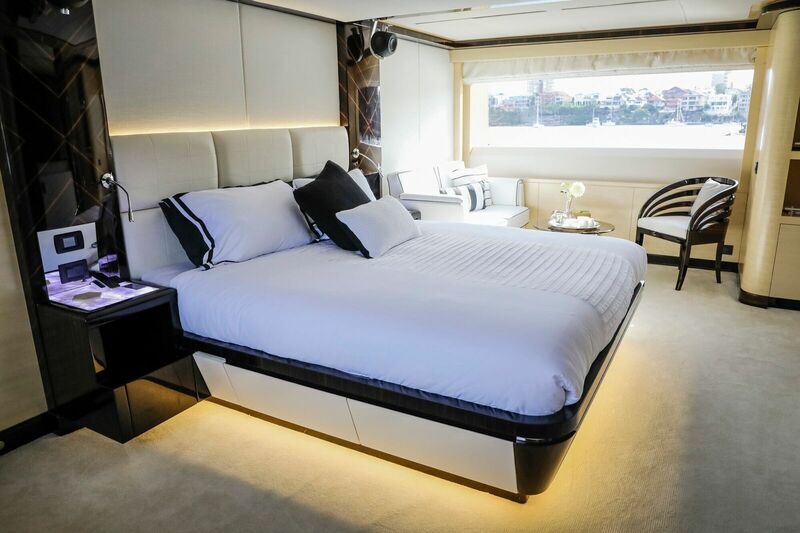 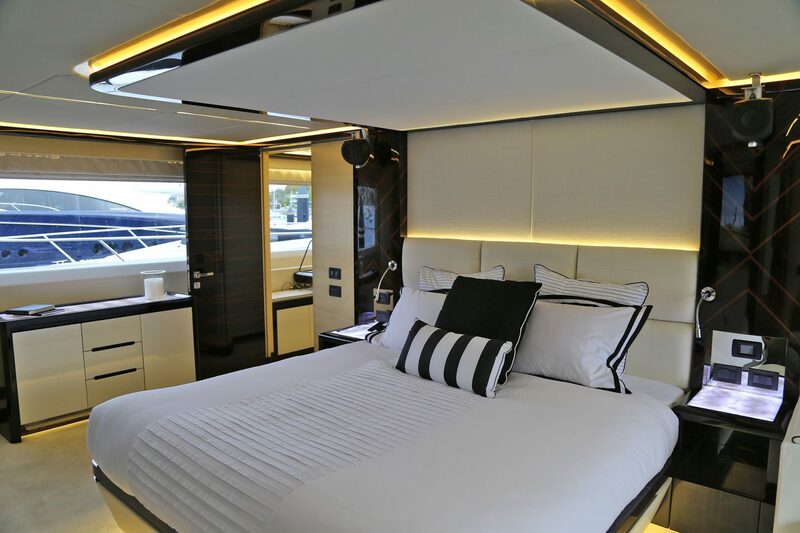 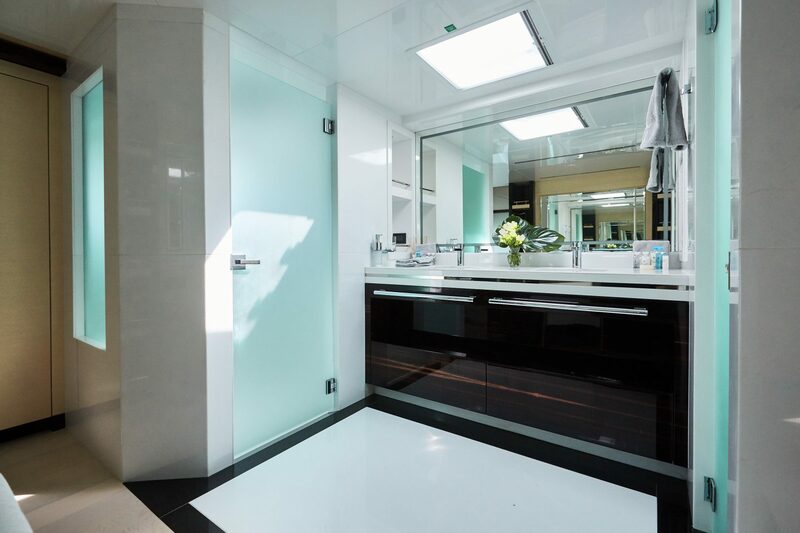 Ghost 2’s accommodation is outstanding, accommodating up to 12 guests for live aboard ( overnight and extended charters) she boasts five exclusive cabins all featuring en suites. 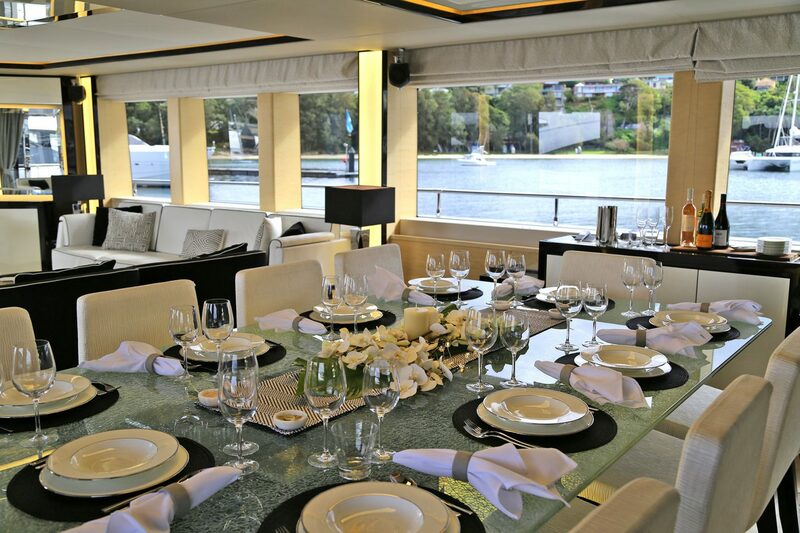 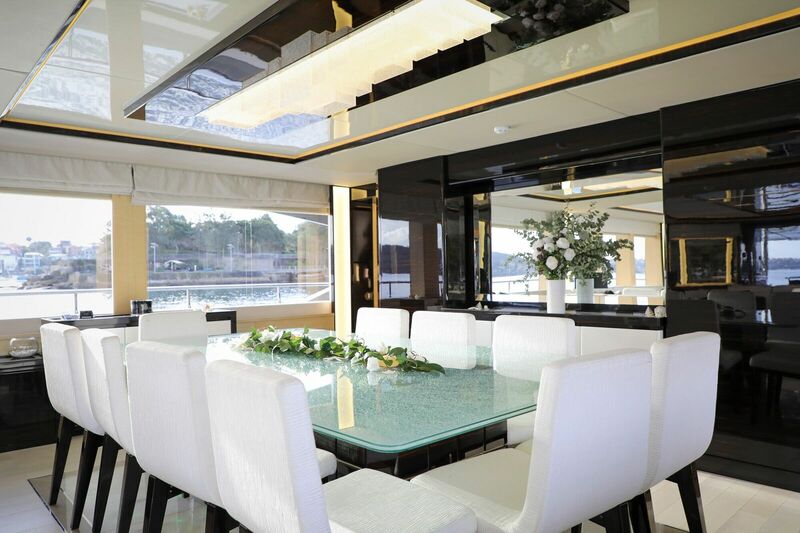 Ghost 2 is currently the only super yacht in Australia to accommodate a maximum of 120 guests cocktail style, making her an extremely unique and desirable vessel.She is extremely suitable for the wedding market as the average wedding falls between 80 – 150 guests in Australia. 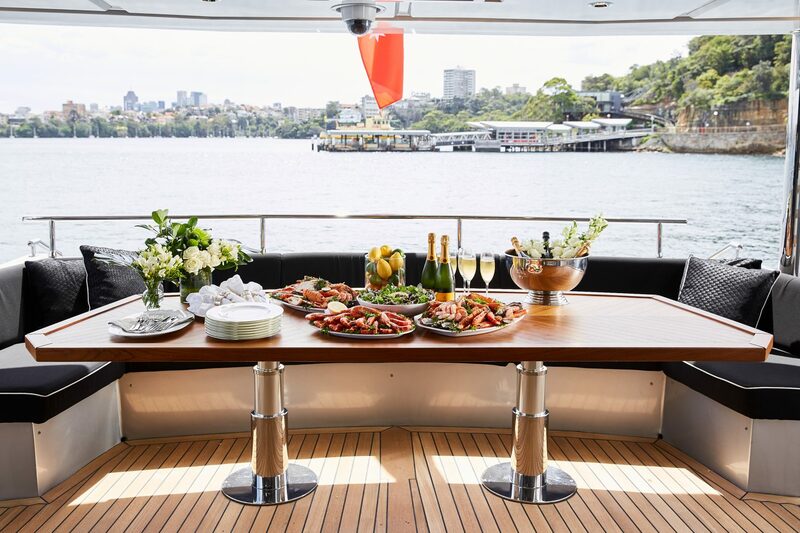 Ghost 2 is most ideal to suit the Australian market for harbour cruising and South Pacific adventures, its generously appointed spacious layouts make her perfect for extended private cruising, corporate events and exclusive harbour charters.